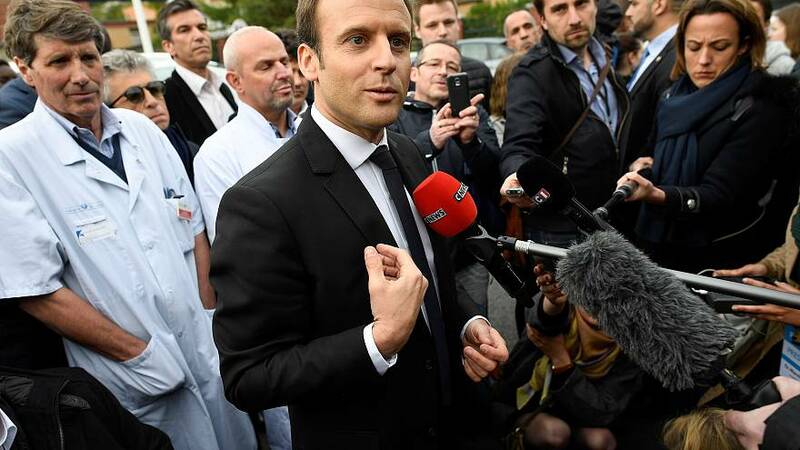 Russia has accused French presidential candidate Emmanuel Macron of discriminating against its media organisations after the centrist’s campaign banned Russian news outlets from his events. The campaign confirmed this week it had denied Sputnik and RT TV media access to Macron. The campaign described the Russian state-funded news outlets as “two-headed” entities which promote Russian propaganda and fake news. A Macron spokesperson said those organisations have a “systematic desire to issue fake news and false information” amid a flurry of accusations by the Macron camp it had been the target of cyber-attacks experts believe are linked to Russian hackers. Russia has denied trying to sway the election result and has vehemently opposed any involvement in cyber-attacks against Macron’s campaign. Russia’s Foreign Ministry called the media ban “outrageous”. Maria Zakharova, a ministry spokeswoman, called on French authorities to ensure press freedoms were maintained in the days leading up to France’s runoff vote on May 7. RT and Sputnik had been accused in February by Richard Ferrand, Macron’s En Marche! campaign secretary-general, of disseminating “fake news” in order to swing popular opinion against the leading candidate. Both news outlets have denied the accusations and RT’s editor-in-chief Margarita Simonyan, in a statement on Thursday, said the move by the Macron camp is the death of press freedoms in France. “So this is how gracelessly freedom of speech ends in a country which prides itself on its freedoms almost more than it prides itself on its Camembert and Brie cheeses”, she said. Ruptly, whose parent company is RT, was earlier banned on Sunday by the Macron campaign, which has given no specific example of Russian fake news targeting the candidate. The move by the Macron campaign comes as his campaign this week revealed it has been the target of at least five cyber-attacks since January. Experts said the attacks may originate from a cyber-espionage group dubbed Pawn Storm, while others link them to groups Fancy Bear and APT 28, who are believed to be linked to Russia’s military intelligence agency GRU. The attacks follow repeated concerns among Europeans and US leaders that Russia may attempt to influence the result of the French election. The warnings of potential Russian interference in European elections, allegations of Moscow’s meddling in the 2016 presidential election in the United States and heightened geopolitical tensions between NATO and Russia, have increased the level of scrutiny placed on Russian media – long accused of pro-Russian bias. The European Parliament in November approved a resolution in which it calls on the EU to do more to fight against disinformation campaigns and extremist propaganda. The resolution, which equated reporting from Russian news organisations RT and Sputnik to ISIL propaganda, accused Russia of trying to divide the EU and incite fear and uncertainty among its citizens. Macron emerged in first place after France’s first round of presidential voting. Polls project he will win the election with nearly 60 percent of the vote.